Kimberly-Clark is recalling some U by Kotex Sleek tampons. (CNN) - Kimberly-Clark is recalling regular absorbency U by Kotex Sleek tampons in the United States and Canada after reports of the tampons unraveling or coming apart upon removal. In some cases, users sought "medical attention to remove tampon pieces left in the body," the recall announcement said. There have also been a small number of reports of infections, irritation, injury and other problems. People should seek medical attention if they experience symptoms such as vaginal injury, irritation, urogenital infections, abdominal pain, nausea or vomiting. Specific lot numbers can be used to identify whether products are part of the recall. These can be found at the bottom of the packaging. A full list of the recalled lot numbers is available from Kimberly-Clark. A lot number checking tool is on the website ubykotex.com. Recalled products were manufactured between October 7, 2016, and October 16, 2018, and distributed between October 17, 2016, and October 23, 2018. No other Kotex products are affected by this recall, the company said. 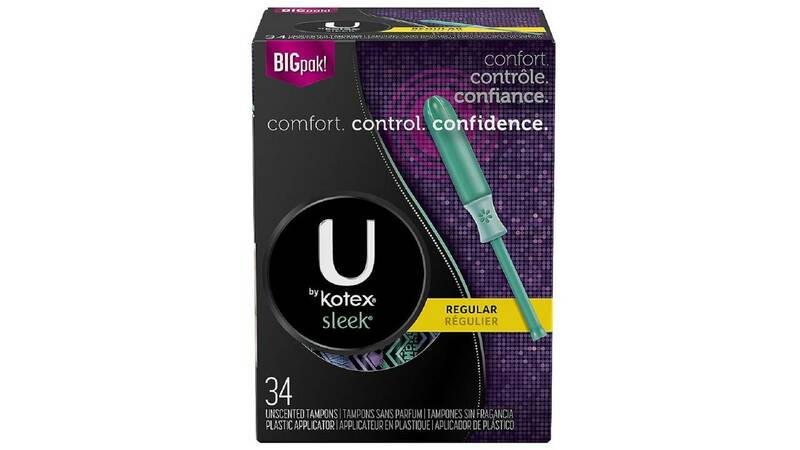 "Any consumer with the impacted U by Kotex Sleek Tampons, Regular Absorbency, in their possession should stop using the product immediately," and retailers have been advised to remove the product from shelves and notify the public of the recalled lot numbers, according to an announcement on the US Food and Drug Administration website. Consumers who have been affected by the recalled products can call the Kimberly-Clark Consumer Service team at 1-888-255-3499 between 7:30 a.m. and 7 p.m. Central time weekdays. Problems related to the recalled products can be reported by health care professionals in the United States to MedWatch and in Canada to Health Canada.